Kathy McCullough learned to fly at the age of sixteen, but her story began much earlier. Her challenges, accomplishments, and indomitable spirit come to life within the pages of Ups and Downs. Becoming the fourth woman pilot hired by Northwest Orient Airlines in 1981 and earning her captain wings in the Boeing 747 a quarter of a century later, was not an easy journey. There is no better way to understand the gender issues in a cockpit than through the eyes of a woman pilot who lived the many challenges. Kathy takes us on the flight of her life with compelling stories of what it took to get into the cockpit of the largest airplane of its time, and what it took to stay there. Now retired, Kathy lives with her husband Kevin on a wheat ranch in eastern Oregon. She shares her experiences with young adults, inspiring them to explore the world. Everyone who has a goal in life will see themselves in the pages of this book. Travel the world through the eyes of a Boeing 747 pilot. 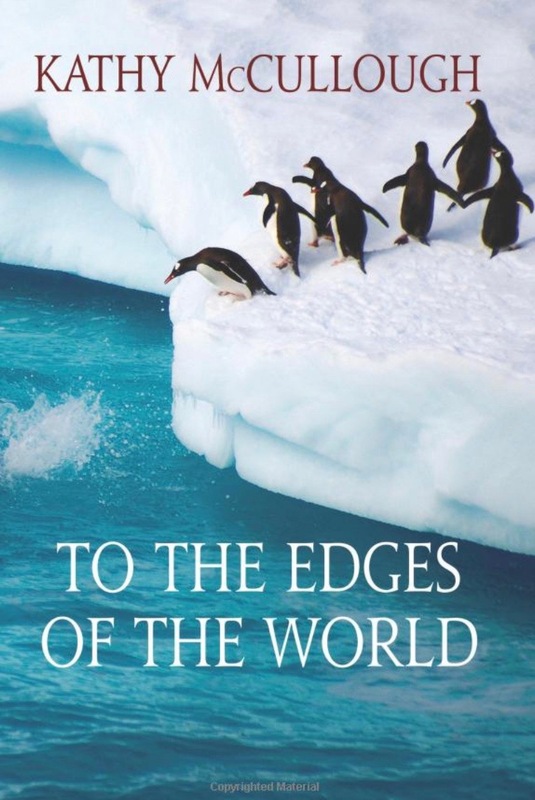 Kathy McCullough flies you from the icebergs of Gerlache Strait in Antarctica to the jungles of Laos in Southeast Asia. From an island in Canada to the island of Batam, Indonesia, follow her on the trek of a lifetime. Kathy’s unique perspective and many adventures will give you the courage to set out on your own journey to explore a world of mysteries, murder, synchronicity, and fortune. Inspiration, motivation and lessons learned...Flight to Success is the author's journey through eight airlines, seven type ratings, two master's degrees, and motherhood. Intertwined with her stories are those of others who share their successes, failures, losses, fears, hopes and dreams. They have all learned from their experiences. What drives people to phenomenal success? The secret correlates with many aspects of flight. If you apply these tips to your everyday life there will be nothing you cannot accomplish. Life is about choice. The choice now, is to open your mind and heart and begin to dream. This inspirational, motivational memoir will take you on a journey through the author's life, to assist you with yours. How did she do it? Why didn't she quit? Where did she find the time, courage, stamina, and strength to persevere during the most challenging times? The answers to these questions and many more will be answered. The Belfast Agreement is about to be shattered by Operation Blue Blood. One young American stands in the way, airline pilot Samantha Starr. She is catapulted into a deadly chess match with police, assassins, and British Special Forces, all who want her dead. The fate of nine noble bloodlines depends on Samantha and a boy whose hero is a wizard. Stranded in Scotland where she is accused of kidnapping and murder, where can she run? When a US Navy fighter pilot and a SEAL join the hunt and every choice can get her killed and start a bloody war in Northern Ireland, on whom should she rely? The line between trust and betrayal is razor sharp, and it is cut at Deadstick Dawn. An 11,000-year-old prophecy plunges airline pilot Samantha Starr into an international maelstrom. While flying to exotic locales during a round-the-world charter flight, Sam stumbles upon the enigmatic key to Poseidon’s Sword, an ancient weapon of unimaginable power. Her discovery triggers a race among secret cults, arms dealers, and world leaders intent on possessing the doomsday weapon. Old enemies and mysterious allies enter the fray, believing Sam is vital to locating and activating Poseidon’s Sword. She becomes an unwilling pawn thrust into a treacherous game trapping her crew, passengers, and family in the rivals’ deadly power plays. Sam struggles to save them and thwart her evil adversaries before time runs out in this fast-paced action thriller. Poseidon's Sword is award-winning author S.L. Menear’s second book in the Samantha Starr Series. After a ten-year leave, Kathryn Jacobs has been invited back to the N.T.S.B to investigate a series of unexplained airline crashes. But her husband, Captain Bill Jacobs, has his concerns. While her twin daughters are off at camp, and Bill is actively campaigning for the Pilot Union Presidency, Kathryn secretly begins her investigation. What she learns will shock the nation. Flight For Control is a thriller that reads like a mystery. But to Kathryn, there is no mystery on the condition of the airline industry-it's broken. Planes are crashing. Pensions are lost. Pilots are financially and emotionally bankrupt due to fatigue, furloughs, and loss of seniority. It's time that someone takes control before it's too late-unless it already is. Your life is in your pilot's hands. Do you know who's flying your plane? 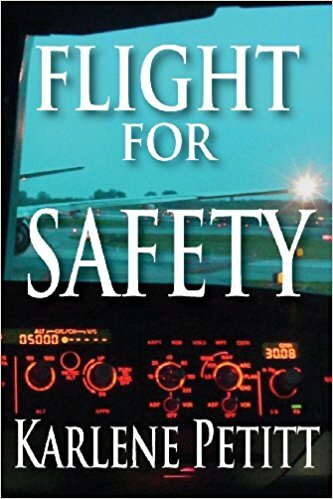 Flight For Safety is an aviation thriller where fiction mirrors truth and each flight is a game of Russian roulette. Aircraft are crashing after computer failures, incidents are occurring worldwide, coming close to hull losses, with mismanagement of aircraft navigation systems, and airline training programs are being canceled. Aerodynamic skills are failing and the new generation pilots never learned them. But when Darby Bradshaw learns what is happening at her airline, she steps into a far-reaching conspiracy where she has become the target. NextGen is on the horizon with multiple threats looming. Aircraft complexity, fatigue, and training issues leave pilots open to error. Unmanned aircraft systems-drones-are flooding the airspace, creating a regulatory nightmare. Safety Management Systems are mandated to be in place by 2018, but creating a safety culture is an essential ground floor requirement. FAA inspector Kathryn Jacobs is in charge of drone regulation, Jackie Jameson is managing flight attendant training, and Darby Bradshaw is flying an A330 for Global Air Lines while fighting for safer skies. Darby has just been offered a two million dollar publishing deal for her safety management book: Fight For Safety, Inside the Iron Bubble. Unfortunately, there are those who would do anything to stop the book's release. The darkest realm of Global Airlines' secret sub-culture surfaces between the pages amidst fear that the truth about what happens inside the iron bubble will come to light. When a Boeing 777 disappears, and a pilot intentionally flies into a mountain, suspicion points to Captain Bill Jacobs, hidden inside prison walls. But the truth is never what it appears. The worst crash in airline history plunges these three friends into a fight for their very survival.